﻿When life accelerates there's no time to look away. The approach of every curve demands more focus. Masked by the speed, wonderful things flash by unseen. It's a one lap race. They are gone for good. I have been trying unsuccessfully to put to words the last four months of my life. This morning I sat down, looked at my screen, and the words appeared. That's them above and they'll have to do. Starting in July, the governor was removed and the pedal was planted. All at once, a flag dropped and it was off to the races. I prefer to choose my competitions and had done just that. Unfortunately, there was no controlling the schedule and they all showed up at once. Planned or unplanned, once the engine starts you're committed to drive. Pulling onto the track things felt pretty good. Then I approached Mario's line. 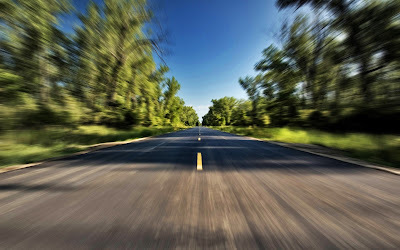 Mr. Andretti famously said, "If everything seems under control, you're not going fast enough." I hope he's proud of me. At some point back there nothing was under control. Yet, somehow I've recently popped out the other side alive. Some of my friends not so much. While I was buried deep in the books, two of my friends, Jay and Art, passed away. One went quickly in a plane crash. It was a shock. The other died when his body gave out at the age of 93. I had known both of them for some time and the news was depressing. When people affect your life, they're hard to forget. Jay and I first met because of my interest in cars; particularly models best labeled fast & exotic. He was about to climb in such a beast one day when I stopped to ask a question. "That's not stock is it? The fact I had noticed an odd detail surprised him and we ended up talking automobiles. Because of that first conversation, through the years he would end up putting me in the seat of several exotic cars typically seen as posters on a teenager's wall. Later, he would go on to help me with a project I was trying to get off the ground. That project started the trajectory which eventually landed me at a major airline hauling boxes. I never forgot that. Not long before his death, I sent him a note to tell him the news and thank him once again. Despite the sadness of his passing, I was happy I hadn't waited. Many others had similar stories. Jay liked to live. After he passed away, the news of his crash was everywhere. Self-made but from a different generation than Art, he had connected with a lot of well known people. When he died, it seemed as if everyone had a story to share about his kindness. Because of this, there's not much new I could tell you about him other than I wish he was still around. I will never forget him. When it comes to Art, I don't now where to begin. He was from a different country; the old USA. 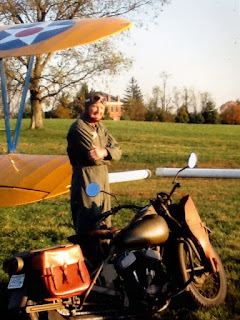 We met when he flew his Stearman into one of the first fly-ins at Lee Bottom. A friend introduced us and I instantly liked the man. The day he died I had yet to find anything about him to dislike. Once you've lived enough decades, you've seen enough to begin to understand life. You've also learned some truths. People who don't like to work rarely succeed. Folks who have done very well for themselves are rarely down to earth and approachable by those who have not. And finally, truly good people are as rare as musgravite. Naturally, there are other truths to be learned. I only mention these three because of Art. That man never stopped. If he wasn't tinkering with some old car or building something he was cooking up an excuse to. There was always a project and he finished them at a far greater rate than I ever will. That drive, I'm sure, contributed greatly to his success in business and life. Art was also easily one of the most gentle men I ever met; kind and stately in a down home way. Simply standing by his side made you feel like a better one. Yet, he never made you feel inferior. He loved everyone. During gatherings at Art's house, it was common to meet people from many walks of life. I remember one guy who looked at him like a father and whom Art described as a top notch man. It turns out the guy had worked for Art in a position many would consider beneath them. Everyone was a friend and he always had something nice to say when you met. Hold on. This isn't working. I've been wanting to write about Art for a few months now and continued to put it off because I could not think of a way to fully explain what a great guy he was. I started here by trying to spell it out point by point but I see that's no good either. I think I'll try something else. Here goes. There was a time in my flying career I had overnights in Lexington. Our hotel was right down the road from Art's. When I told him I was going to be staying there occasionally, he insisted I call when I was in town. The first time the overnight came around, I dialed his number. Answering the phone, he sounded excited and quickly asked, "Do you have a jacket?" I did, and he said, "I'll be right over." By the time he headed my way it was dark and the temperature was in the high fifties. While standing outside waiting for him to arrive I heard a familiar sound. 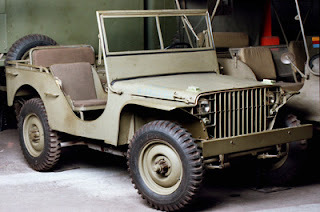 It was the distinctive whine of a WWII Jeep. "Who in the heck is out in a Jeep in thi_" is what I was thinking when around the corner came Art. He was behind the wheel of his GP. Art bought the vehicle right after the end of WWII and he and some friends drove it to Alaska and back! Yeah, no joke. Not only was he the type guy who would drive a 40mph vehicle to Alaska, but he was also prescient enough to hold onto it. As I jumped in the right seat, he looked at me and said, "Is this ok?" I felt honored to be there. Knowing I loved military vehicles we talked about other machines he owned and pondered how many other people would be crazy enough to drive this thing across town for a burger. He was so much fun to be around. Our arrival at the restaurant was something I'll never forget. A cute little country girl hostess greeted us with, "Hey Mr. Francis - haven't seen you for a while. You been doin okaaay?" She had the sweetest voice and it carried with it an obvious tone of respect. It even felt as though she saw him as family. Like I said, everyone loved him and that is the moment I realized it. One by one, nearly every employee of that restaurant stopped to say hello. His character stood out in the world. Like a colorful masterpiece hanging on the wall of an abandoned building, you couldn't help but notice. If there was ever anyone who didn't like him, I can guarantee you they were evil. Looking back, that was easily one of the best overnights I ever experienced. It's followed closely by the other handful of overnights I had in Lexington, driving the GP about town. Recently he reminded me of them. Earlier this year, I was visiting a fly-in next to Art's place. He had hosted such gatherings at his end of the field when his health was good. Now they were held at the other end. With his health going downhill, Art would instead do his best to make an appearance to say hello to all his friends. With the day drawing to a close and not having seen him, I wondered if he wasn't feeling well and was unable to come out. Saying my goodbyes and preparing to fly home, another friend walked by and said with a smile, "There's an old guy around the corner who is asking if you're here." Rounding the corner of the building I found Art seated in a car. A family member had driven him to the event but he was too weak to get out. Therefore, as soon as he arrived, a line had appeared next to the vehicle. When all those people cleared out enough for me to reach him I walked up and said, "I'm sorry, I thought this was the line to see Elvis." He laughed and said, "Rich, old buddy old pal, I'm so glad to see you." "Glad to see me?? Are you kidding??" I asked. "You've made my day." Sitting on the kick plate of the open car door, I asked Art how he was feeling. He responded, "Not so good." I rebutted that it looked like he was doing great and he laughed. "You know better than that," he said. Then I told him, "Not true. To be as old as you are and have one foot in the grave, I think you're doing exceptionally well." He loved the honesty and laughed with the strength I hadn't seen from him in a while. "I can always count on your for the truth," was his response and we moved on to all the subjects we both enjoyed. Cars, the women in our lives, projects we still wanted to complete, and airplanes were all included. Then he brought up the day we met at Lee Bottom. From there the conversation moved to those overnights in Lexington; two guys who were fifty years apart, acting like kids, driving around in the cold, in a Jeep. That's when someone walked up to tell him there was another person there who wanted to see him. Art asked who it was, and when he found out he said, "I don't want to do that. I'm catching up with my friend." At that moment, I could have been told Pete Peterson had proclaimed me the greatest pilot to ever live, the Nobel Committee could have given me a prize for logic, and a Pulitzer award for most offensive blog post could have arrived simultaneously and hearing Art call me his friend would have made them all pale in comparison. Unfortunately, the requests kept coming. Finally, after the fifth or sixth mention of someone else who wanted to say hello, I said, "I'm thinking I better go so you can say hello to these people. Otherwise, we're both going to be in trouble." He laughed, looked at me like a kid whose mom was making him come inside, and said, "Ok friend. You're probably right. Take care." That was the last time I saw him. If you never knew Art Francis, you missed out. As I attempted to convey earlier but couldn't do so properly, he is easily one of the greatest men I've ever known. From the examples I've given you may have the impression he was merely another nice old man. But how do you describe true goodness? I'm unable the task. Therefore, I've shared with you how he made us feel. If you're wondering why I said "Us," I did so because he affected everyone the same. Anyone who was his friend felt special and loved him. In fact, many of us called him "Dad." He was someone you looked up to, wished you could be more like, and wanted to be around. The traits he held were like gravity; that mysterious force that draws things together. Everyone knows it exists, but among the greatest minds its origin is still up for debate. All I can say with absolution is that whatever it is, Art had it. Goodbye old buddy old pal. Please send an email to me gaylecrowder@gmail.com so that I can respond privately. No need to post this message to your story. I have an idea that I'd like to share with you. Your eloquence has done it again! (Imho) Art Francis lives on thru your words. A great tribute.